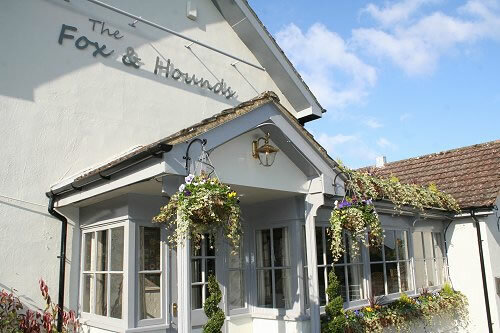 You'll be pleased to know we've never heard of nouvelle cuisine here at The Fox & Hounds. Expect a proper menu & proper portions of pub food and classics, plus daily-changing specials. Our traditional Sunday roast is served all-day from 12-6.00pm with a choice of prime joints and seasonal vegetables, with booking highly recommended. If you have any allergies or special dietary requirements, please speak to a member of staff for a full list of allergens. Served from 12 – 6pm with plenty on offer!